buttoned at the back to make it easy for changing and washing. 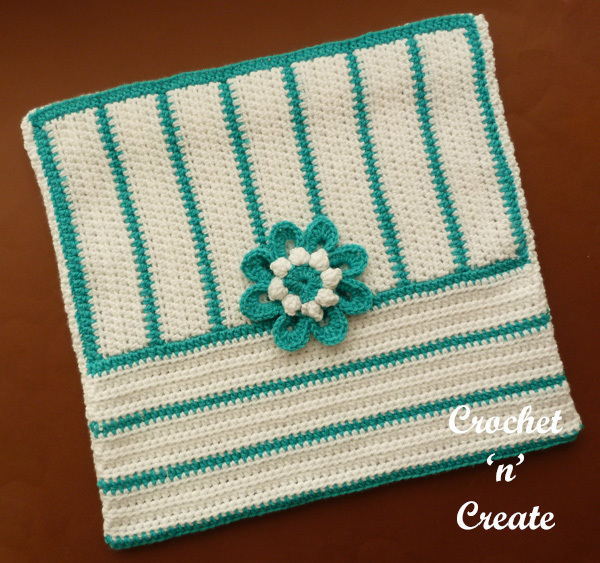 To add glamour to the cover I have decorated it with a flower motif, just change the colors you crochet it in to suit the style of your rooms. 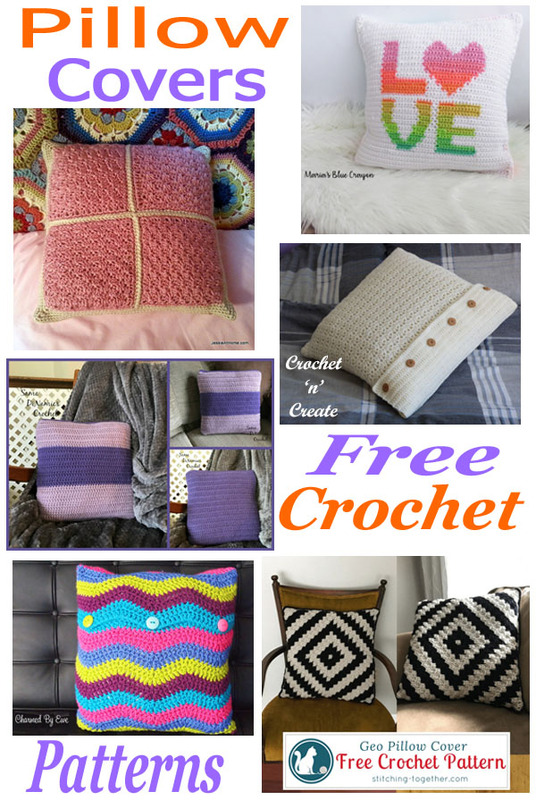 This entry was posted in crochet cushion cover, crochet pillow cover and tagged crochet, crochet cushion cover, crochet for home, crochet pillow cover on 5th January 2019 by crochetncreate. 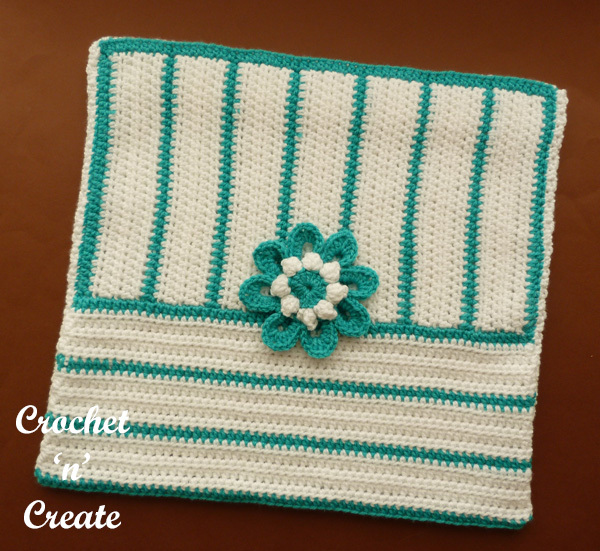 Flower Cushion Cover UK Free Crochet Pattern – Worked in a half treble crochet stitch, this easy pattern will look beautiful in any room of your home. 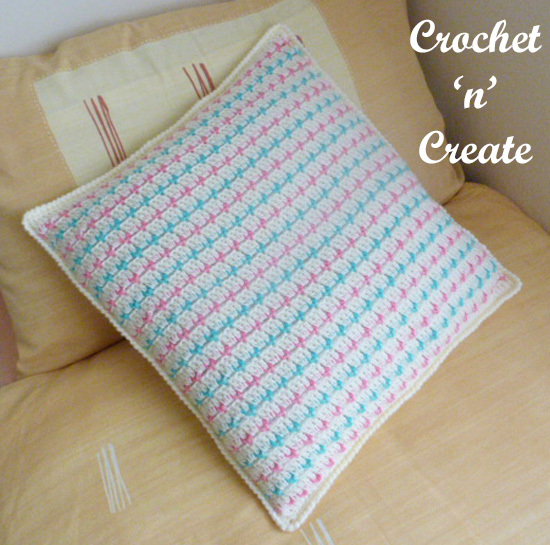 Check out more of my free crochet patterns for throw pillow covers and lapghan. # Fasten off. Join in colour 2. 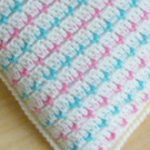 2nd Row – 1ch, 1htr into base of 1ch, 1htr into each htr to end. Turn. Rpt 2nd Row four more times. Rpt from # to # 6 more times. 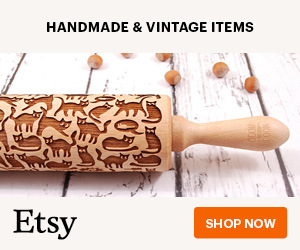 You should have 43 rows worked in all. Rpt from # to # on main piece 3 times. Work into front loops only for this row, rpt 2nd Row from main piece. Work though both loops from now on, rpt 2nd Row 43 more times. You should have 44 rows worked in all for back. Place a colour marker each end of row. 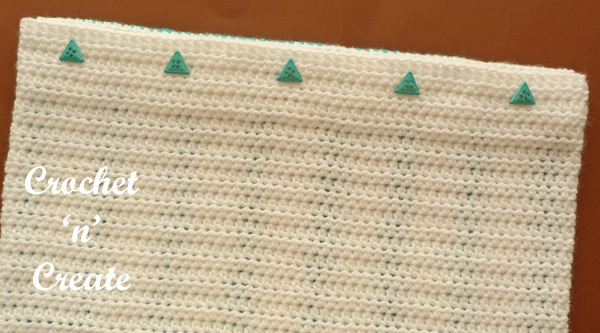 Button Flap – Working into front loops only for this row, rpt 2nd Row from main piece. Working through both loops from now on rpt 2nd Row from main piece 9 more times. 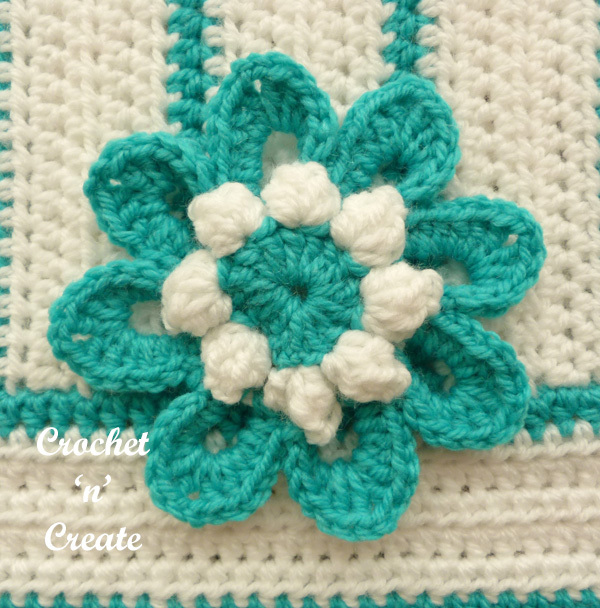 Flower Motif – Using the same hook and yarn as the cushion cover. Click HERE for the flower motif. Finishing – With WS facing, fold work so both sets of markers meet on the base of the button flap, whip stitch both of the open sides together to make an envelope, weave in and trim off all loose ends of yarn, turn through to right side, attach flower motif to front of cover, sew 5 buttons evenly along button flap, tuck in over pillow pad and fasten through the gaps in the htr stitches on back of cover. 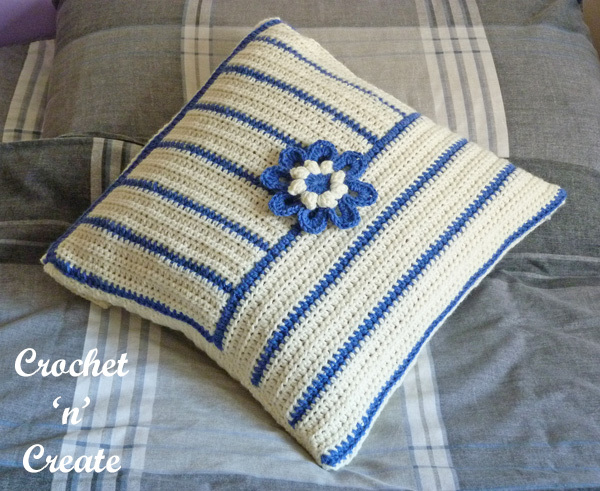 The written instructions and pictures for this flower cushion cover uk free crochet pattern are copyrighted to crochet ‘n’ create © 2019. 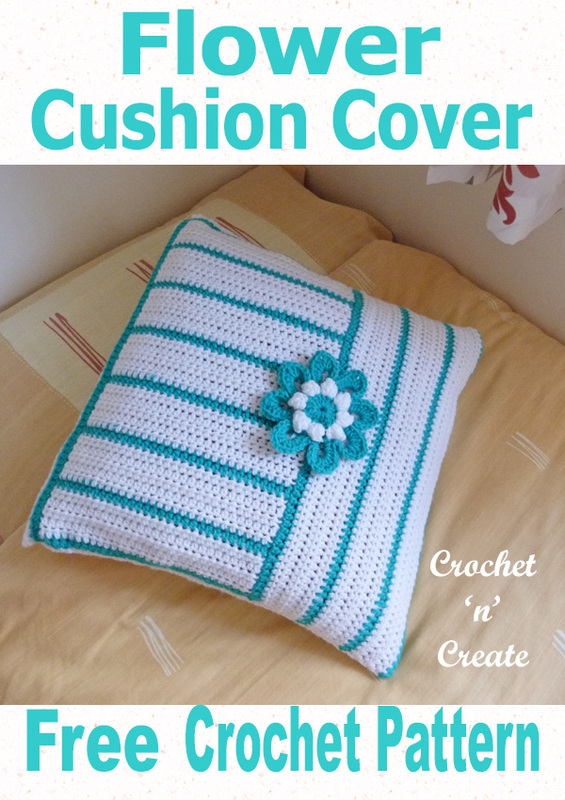 You are welcome to sell the finished products made from the flower cushion cover uk free crochet pattern, I just ask that you please use your own pictures and put a link back to crochet ‘n’ create. 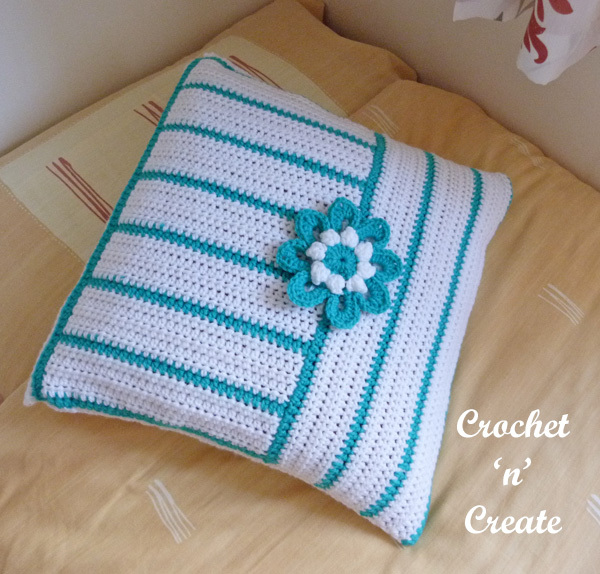 DO NOT share the written instructions for this flower cushion cover uk free crochet pattern. 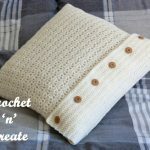 A piped edge cushion cover for you to enjoy making, this simple, quick and easy to crochet cover can be used in your living area or in your bedroom, I have used three colors but you can make it with two or just one if you prefer. 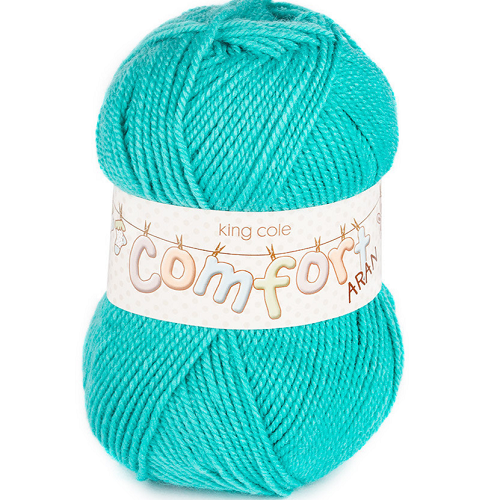 Designed using the Brick Stitch on a medium sized hook, hope you have fun making it! 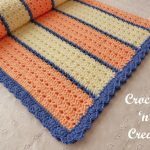 This entry was posted in crochet for the home, free crochet patterns and tagged crochet, crochet cushion cover, crochet for home, free crochet patterns on 26th September 2017 by crochetncreate.